We offer an extensive range of 15ml to 1500ml containers with warranty closing devices. Our offer also includes Ø 29 and Ø 32 bottle caps with a warranty ring. 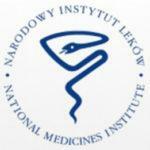 Our products are made of polyethylene and polypropylene and have a Trade Admittance Certificate issued by the National Medicines Institute in Warsaw. On request we can issue delivery certificates for each lot. The containers manufactured by us are of high quality and are attractively priced. We offer convenient payment forms and extended payment terms for larger orders. We can also deliver the products directly to you. We send our catalogue and free samples to those interested in our goods. We invite you to view our catalogue. This offer will enable you to get a better idea of our product range. Should you have any additional questions please call us on +48 61 813 05 09 or send your query by e-mail.